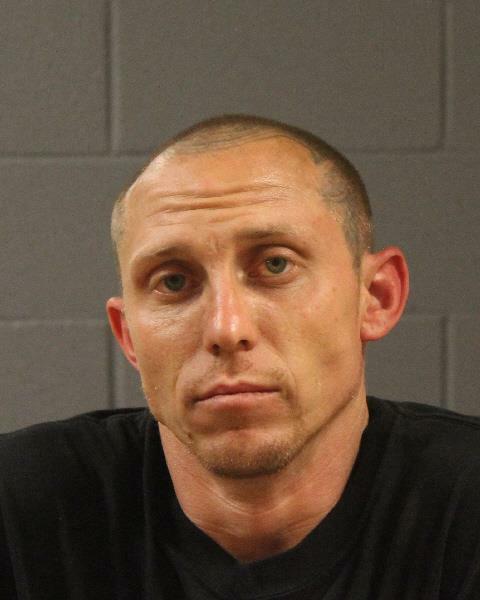 ST. GEORGE – A St. George man was arrested Wednesday after he was allegedly caught on surveillance footage trying to steal money out of apartment vending machines. Police were called to investigate a burglary at the Spring Tree Gardens apartment complex located at 600 N. 2450 East in St. George. Two suspects allegedly entered the laundry area of the complex and attempted to break into the vending machines located inside, according to a probable cause statement filed by the St. George Police Department in support of the arrest. While the suspects were unsuccessful at getting any money, the statement said, they did cause $1,000 worth of damage to the machines. The manager of the apartment complex had previously installed a surveillance system and was able to catch the incident on tape. Authorities were able to identify 32-year-old Joshua James Nelson as one of the suspects after he looked directly at the camera, according to the statement. Officers paid Nelson a visit at his St. George residence a few minutes away, the statement said, where he was subsequently taken into police custody. Nelson was transported and booked into the Washington County Purgatory Correctional Facility. He was charged with third-degree felony burglary along with a class A misdemeanor charge of criminal mischief. His initial court appearance in 5th District Court is scheduled for Thursday afternoon.